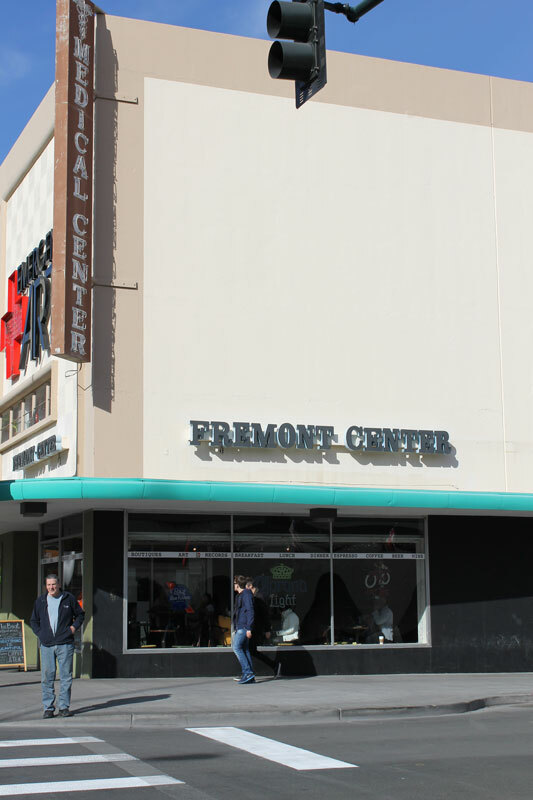 On Tuesday, December 11, I met with Jennifer Cornthwaite, Director of Emergency Arts, at Fremont and sixth to discuss exhibiting in LV, and to get insight into the arts center. I met with Karen Green afterwards at the National Atomic Testing Museum. She is Curator and Collections Director at the Museum. 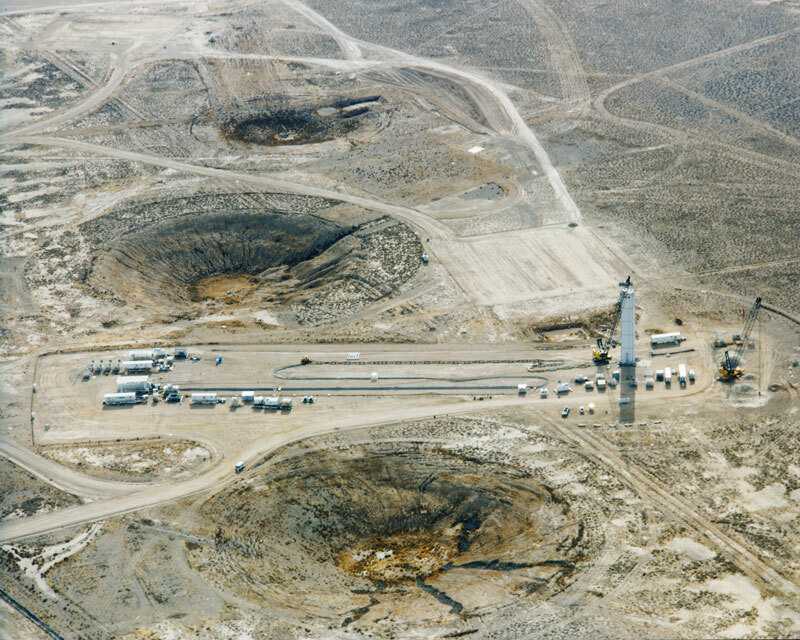 The National Atomic Testing Museum has a collection of artifacts from the atomic testing period, mostly from the Nevada Test Site, but growing in scope to include objects and artifacts from all of the U.S.’s testing locations. I was able to visit the exhibition quickly, and then we went upstairs to the collections room. 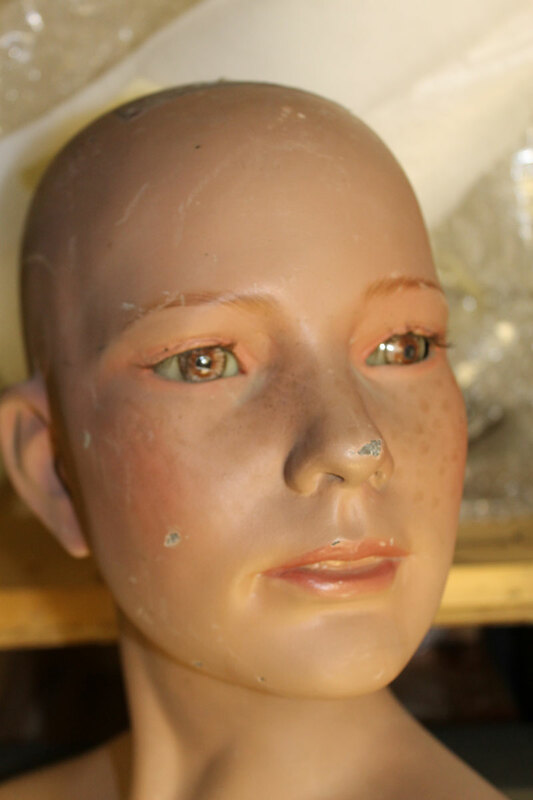 Karen had received an anonymous donation of two 1950s era mannequins that were used in testing at the NTS, a woman and a boy. 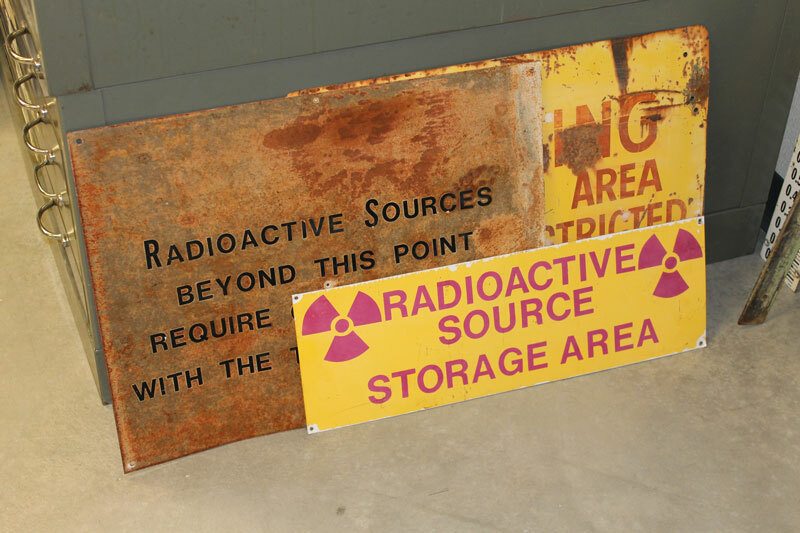 The words ‘Property of the Atomic Energy Commission Yucca Flat Range Ground Zero’ are stenciled in black on their backs. Their hair wigs are lost, but their eyes are intact. 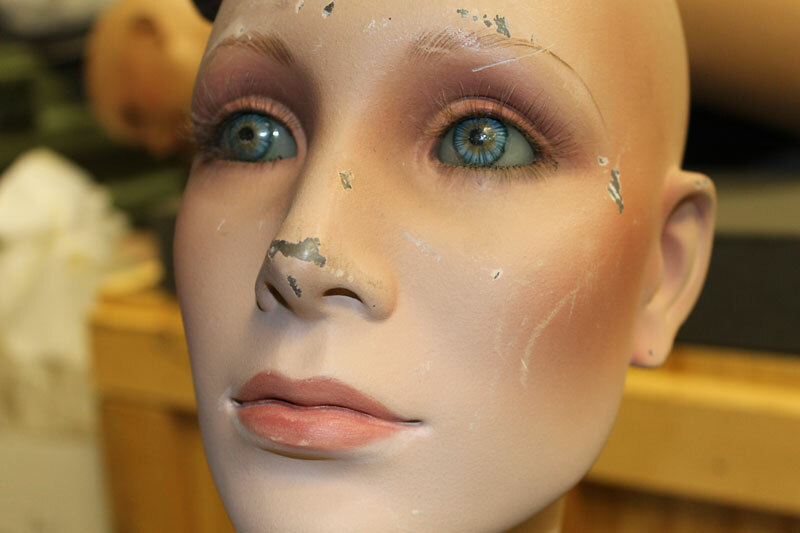 They have hand-painted glass eyes. 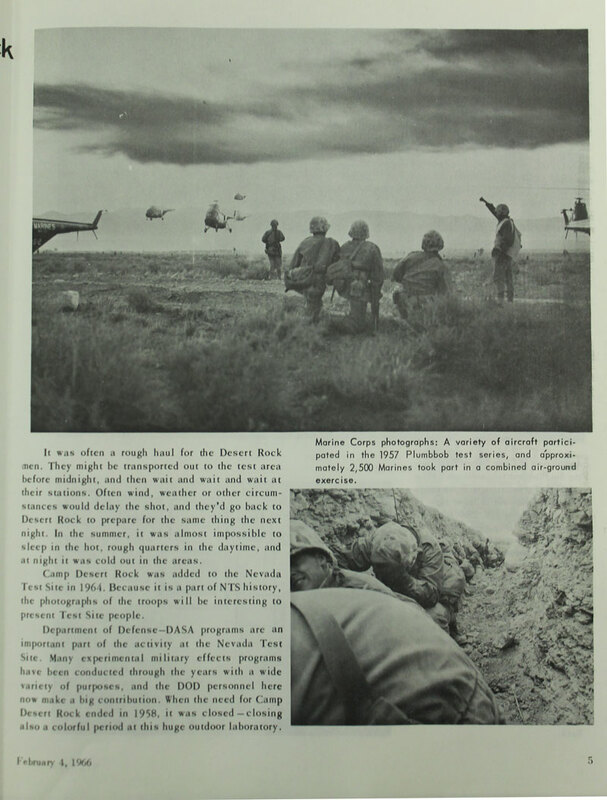 I have been spending time in the University of Nevada Las Vegas Special Collections library. 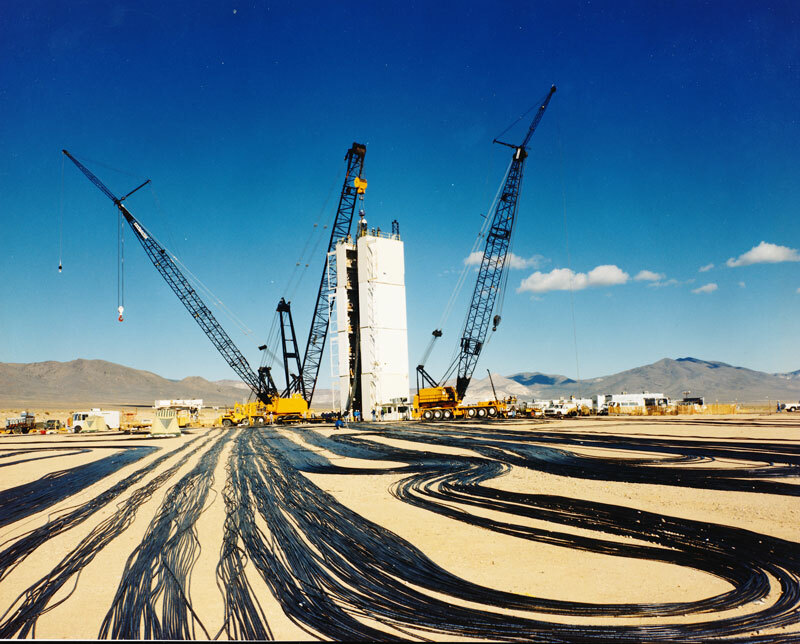 I looked through several photographs of testing activities (from the Department of Energy) and manuscript collections from journalists and historians. 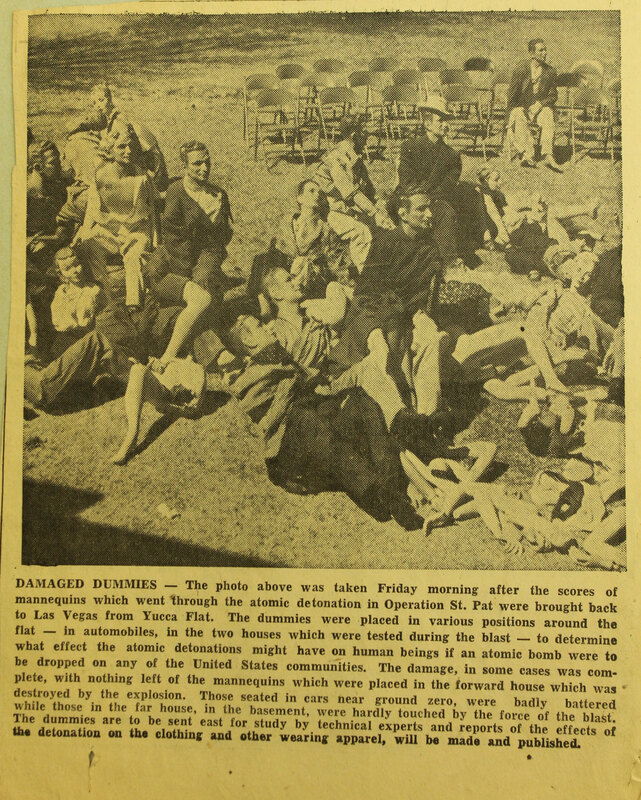 I also consulted the thesis dissertation of Angela Christine Moor entitled, ‘Selling Civil Defense: The Politics and Commerce of Preparedness, 1950-1963.’ I met her at the Cahlan Research Library in 2008 as she was finishing her MA in History at UNLV. We will be at the UNLV library one more time before we leave, on Tuesday, December 18. I am in Las Vegas, Nevada for ten days (I arrived Sunday, December 9, 2012). 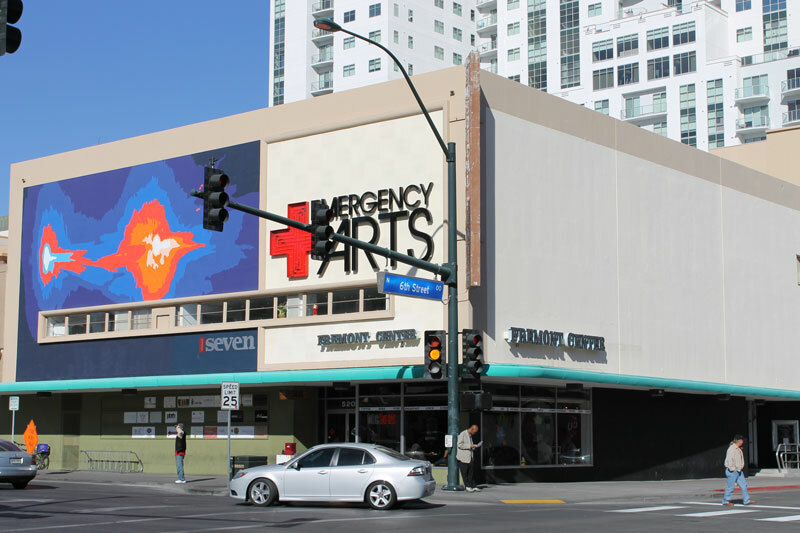 On the first morning, Monday, December 10, I met with curator and historian, Brian Paco Alvarez, and filmmaker and producer, Dan Garrison, at The Beat café in the Emergency Arts Center in downtown Las Vegas (Fremont and 6th). 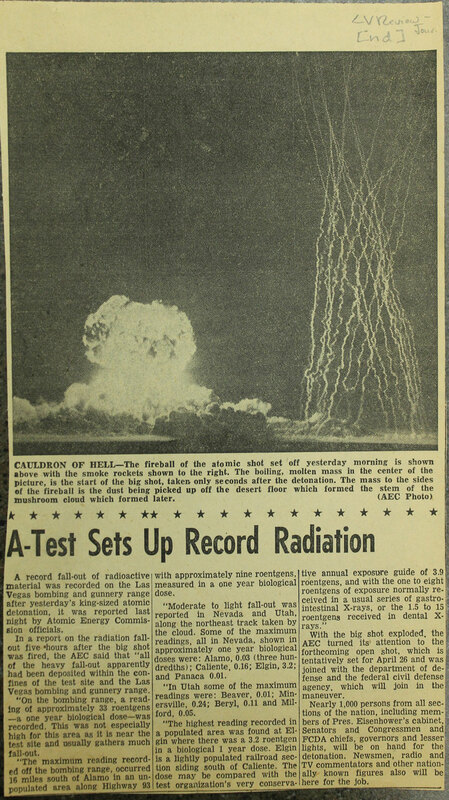 It is in the former J.C. Penney building, the store which donated clothing for Federal Civil Defense Administration tests at the Nevada Test Site in the early 1950s, and the site where the L.A. 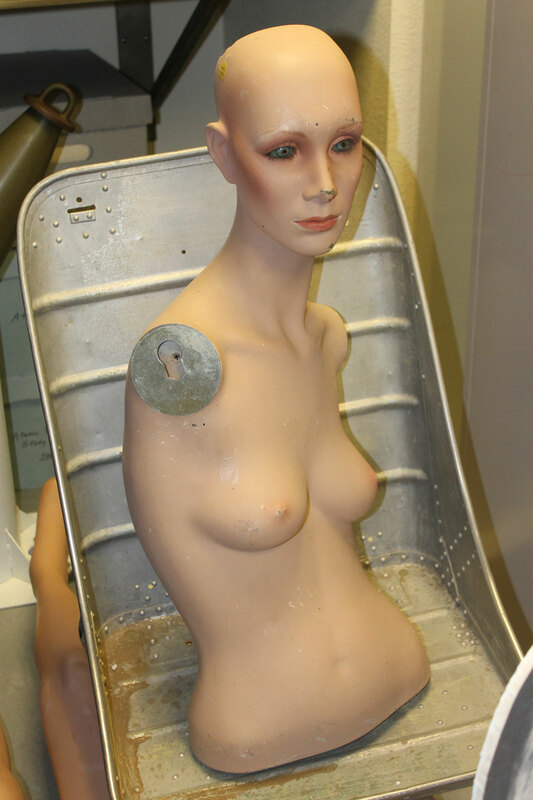 Darling mannequins, who experienced the force of nuclear blasts, were put on display for public viewing. We discussed ‘The Evolution of Silence’ and the possibility for its premiere as an exhibition here in LV. 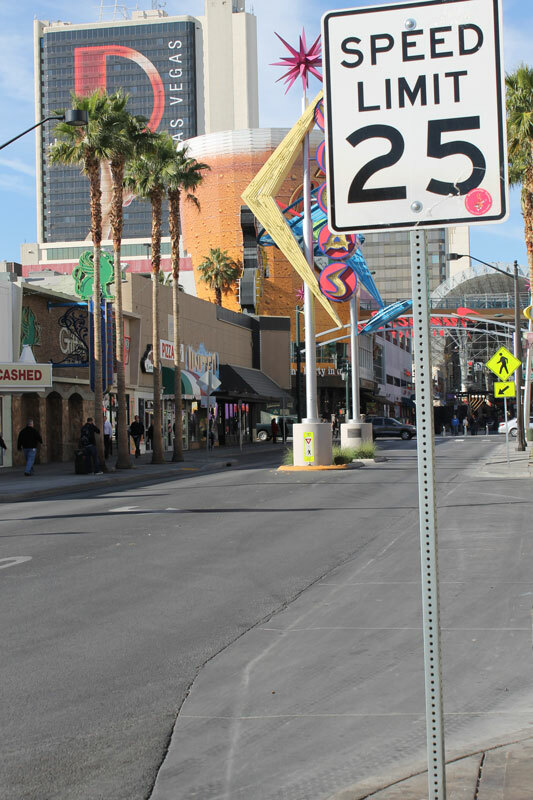 Paco is working to establish historic designation for the former J.C. Penney building in downtown Las Vegas because of its role in the history of the Nevada Test Site. We spent the afternoon at the Nevada State Museum Cahlan Research Library, looking at photographs, newspaper clippings, scrapbooks, maps, and publications from various collections. 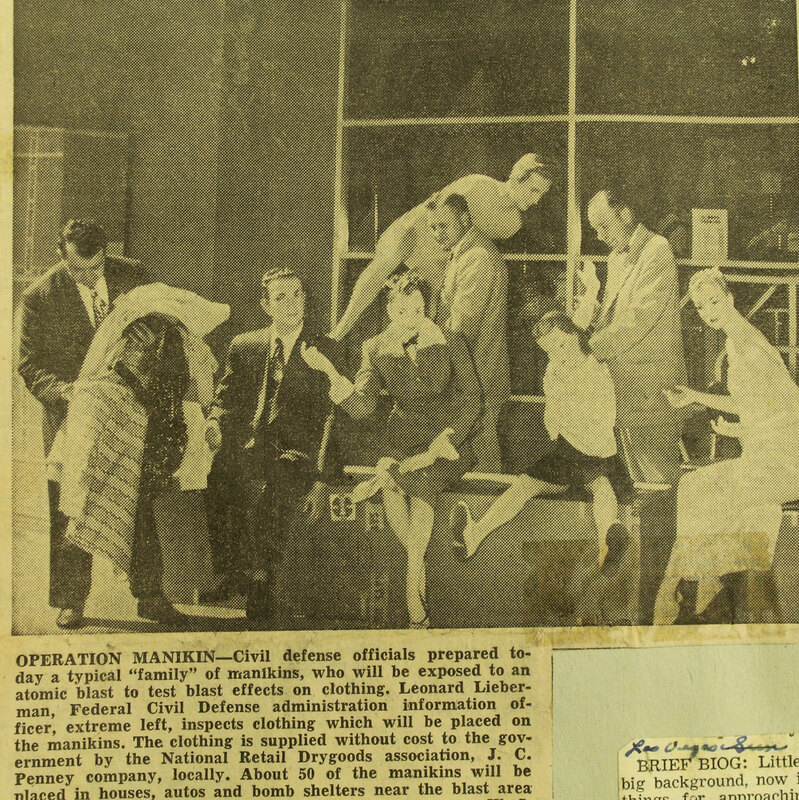 We are returning tomorrow to finish looking at the clippings in the Patricia Lee collection and to search the Las Vegas Sun and the Las Vegas Review Journal newspapers from 1953 on microfilm for pictures and articles about the mannequins on display. Here is a selection of recent experiments and interpretations of the cables that lie around the NTS. 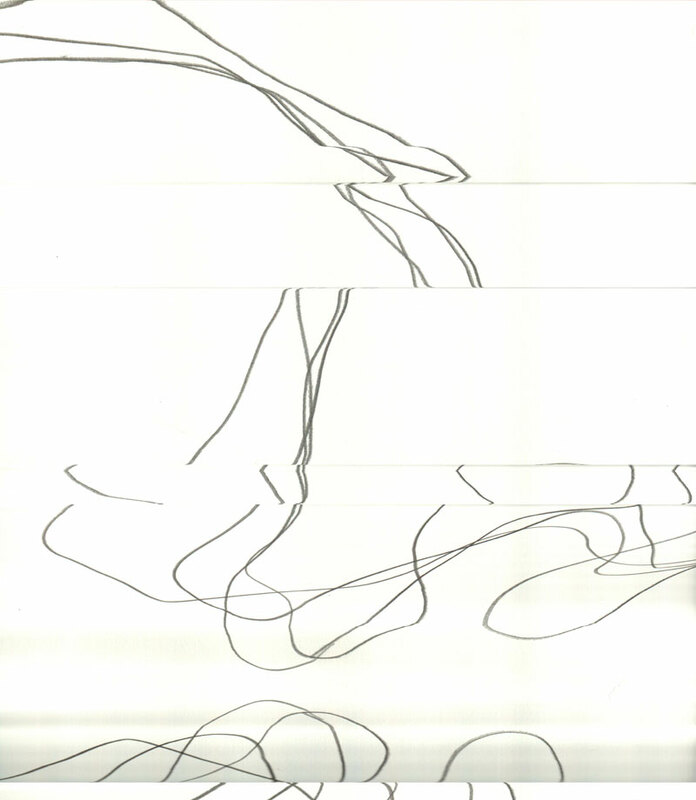 I have several drawings that have already been incorporated into the web-based archive and I am trying to find other ways to evoke landscape and the ruins of nuclear testing through line and space. The little handheld scanner I use allows me to ‘draw’ as I capture; recorded is the new ‘drawing’ which re-interprets fragments of the original drawing. Each scanning event involves gesture and movement, and the unknown. It is always a surprise to see how the original drawing is transformed. 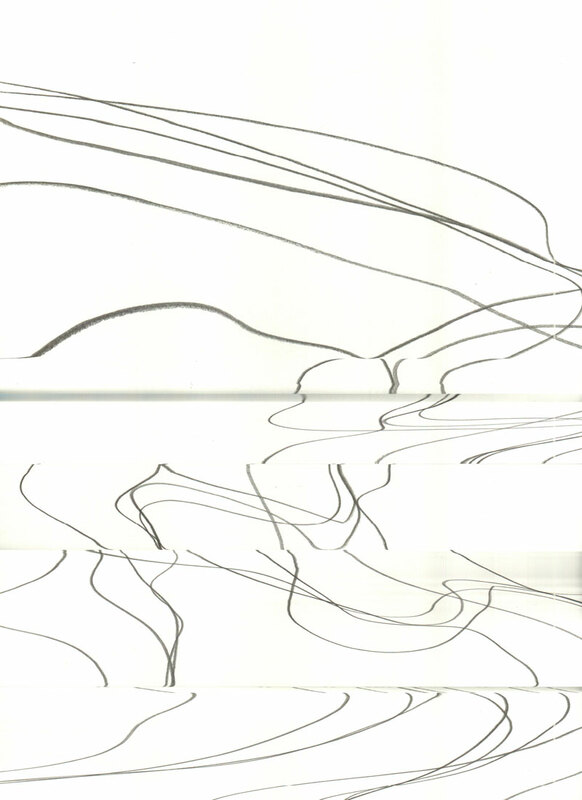 Drawing with a scanner is a new expressive approach for me that came out of my workshop week at Design Inquiry/Design City: Berlin this past August. Special thanks to Florian Sametinger and the Design Research Lab for the opportunity to continue this visual experiment. Over the last week I have been preparing my research goals and itinerary for an upcoming trip to Nevada. I will be visiting and meeting people from the Nevada State Museum’s Cahlan Research Library, the University of Nevada Las Vegas Library and Special Collections, the Springs Preserve, the Atomic Testing Museum, the Las Vegas News Bureau, the Emergency Arts Center, the National Desert Wildlife Range, and the Nevada Test Site.